I've now been in Ghana for more than half a year. Apart from wanting to experiene every day life in one community and a Ghanaian family, travelling as much as possible was also one of my projects. Therefore, I have used many weekends, holidays and school vacations as an opportunity to see some more of the country. Until now I have managed to see 8 of the 10 regions in Ghana and I think I have gained a huge variety of impressions. Kakum National Park is located north of Cape Coast, the easiest way to acces it is to take a taxi or TroTro (which I prefer because it's cheaper and you're travelling with other people) from Cape Coast. Cape Coast is definitely worth a visit as well, so if you ask me, you should combine the two of them. Cape Coast Castle was one of the most important forts for the slave trade in West Africa, but unfortunately I haven't been there yet (though it's definetly on my list).The journey takes little more than one hour and is an excellent opportunity to have a first glance at the landscape. The most popular activity in the park is probably the Canopy Walk. This is a collection of "bridges" going from tree to tree. This way you can have a nice look at all the trees from a different perspective. I think everyone can manage these bridges, if you're two afraid of heights though, this might not be the ideal thing for you. In this case one of the Forest Walks is the right thing for you. At the reception of the park they call it hiking tour, but actually it's more of a nice stroll through the trees. You will be accompanied by a guide, who explains a lot about the forest's eco-system, the trees and the animals that call the forest their habitat. However, you shouldn't hope to see a lot of animals since there is always a lot of noise in the area where they do the tours. Another thing I can recommend is to spend a night in one of the treehouses. One is even located in the primary forest. During the night you can do another guided tour, but even if you choose not to, it is still a great experience to fall asleep with the sounds of the forest. One last tip: if you get hungry, don't go to the expensive restaurant in the park. Right at the entrance there is a much better alternative called the Bamboo Restaurant (because you'll sit under a giant bamboo). Their fried rice is great and they also offer breakfast for those who spend the night in the forest. 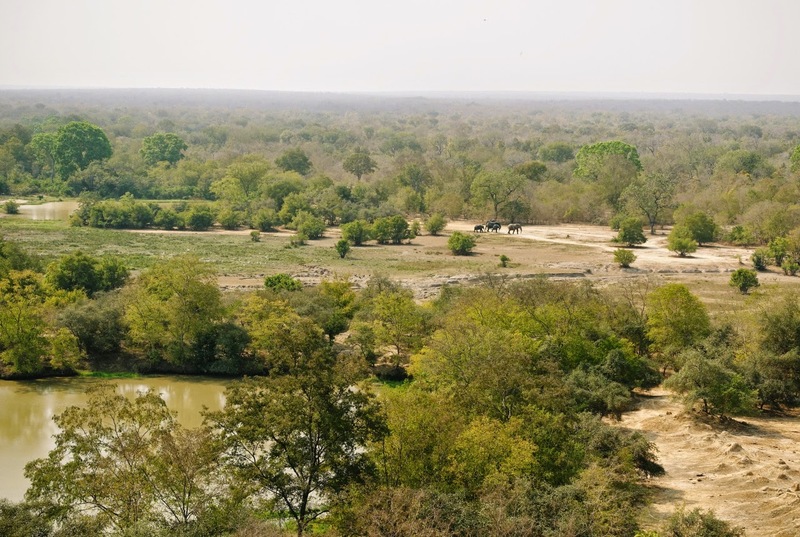 Mole National Park is the most popular national park in Ghana, probably because you have a good chance of seeing elephants there. It's best to access the park from Tamale. However, you shouldn't just use Tamale as transit area. Take one day to explore the town, you will not regret it. For me, as someone who is used to the south of Ghana, Tamale was just so different. It is very relaxed, you can take a stroll over the market without anyone bothering you and rent a bike to explore the town all by yourself. Also, in many travel guides you will find warnings that the north of Ghana was more dangerous than the south. I have to say that I felt more save in the north than I did in the south. Something that frightens a lot of travellers from western countries is the islamic influence in the north. This is also something you should definitely not be afraid of. You can buy everything you like at the market: grains, herbs and spices, clothes, jewellery, half a cow, pineapple and fabrics. The Mole Park is always worth a visit, even if you don't spot any animals (which is very unlikely) the landscape is already more than anyone could hope for. Another tip: Don't stay at the expensive lodge in the park but at the Salia brothers' guesthouse. they are locals, who have also build a school in the nearby village Larabanga. They are extremely hospitable, always have good advice and prepare great Ghanaian food. I know Accra is a pretty obvious choice since it is the capital and also the place where most travellers first arrive in Ghana. Still I think you shouldn't miss it. There are a lot of things to do, you can visit the city's monuments like the Independence Arch or Kwame Nkrumah's mausoleum (he led Ghana to independence), go to one of the many markets or museums. I recomend just strolling around the city, taking a turn every now and then and see what you discover. Like this I found small shops and boutiques selling everything one could possibly want or beautiful streets with blooming gardens. If you need to have a break from the noisy city, the beach is always near. One thing I'm planning on doing the next time I come to Accra is to visit Legon University in the north of the city. The University Library is said to have a great selection of African literature. Kumasi nearly made first place and only missed it because sometimes I'm not so much of a city person. I know that it is the only number one for a lot of people. One mistake Ghana visitors should never make is to think because they have seen Accra it would be unnecessary to visit Kumasi. I would even go as far and say if you have to choose, take Kumasi. One of the biggest markets in all of Africa is located there and takes up almost all of the city centre. I recommend spending a whole afternoon on the market, just to have a good look around. Most of the people are very friendly, of course you should be careful where you put your purse and don't forget to negotiate before you buy something. Since the city is very cowded it's a good idea to combine the visit with a trip to the surrounding nature, which is a very lush green hillside. 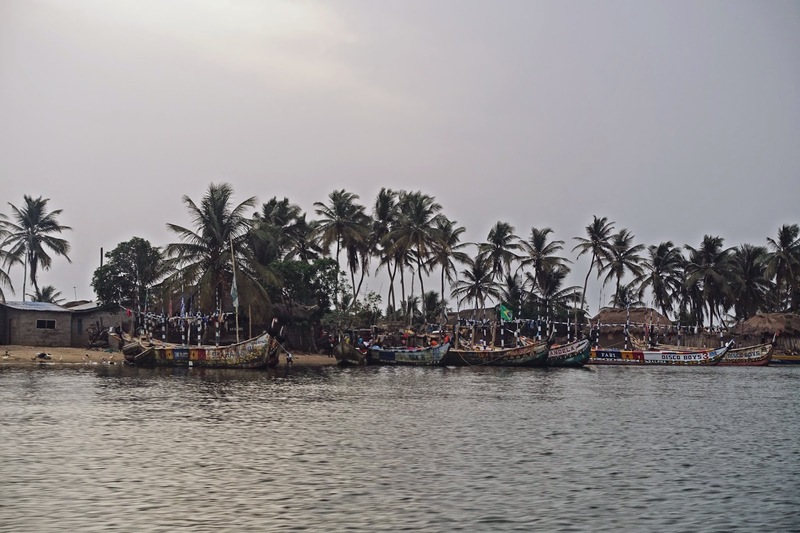 Ada Foah is a village very near to where the Volta flows into the Atlantic Ocean. I stayed at Maranatha Beach Camp, which is a collection of small huts made of palm leaves at the beach. It works closely together with the local community and some of the profits support community or ecological projects. Even getting there is a small adventure itself: from Accra you get TroTros to Ada Foah but to get to the beach you either have to take a boat or a motorcycle. I tried both and while the boat might have been a bit more relaxing, I must admit that the motorcycle was much more exciting. Ada Foah is a great place to relax and just float lazily in the Volta but if you feel a bit more active there are a lot of things to do. Boat tours on the Volta can be organized as well as Turtle Sighting tours. Another thing you could consider is to take a stroll over the market in the village, which is very airy and open, a quality not a lot of Ghanaian markets can boast with.